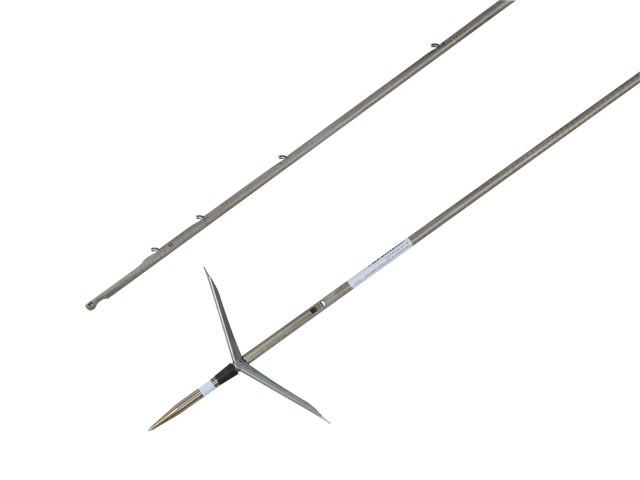 • Type of use: the Squalo shaft can be used on the arbalete gun with open muzzle. • Fins: hydrodinamic shape, smal dimensions and a smart assembling system, give an High coefficient of penetration through the water. • Material: Sandvik stainless steel up to 52 Hrc. Laboratory and in-water test demonstrate excellent mechanical characteristics of hardness and elasticity. The better stainless steel adapted for this application. • each Barb: stainless steel, lenght 75 mm, thickness 1 mm. • the saft has a cone placed before the barbs which give the sahft more hydrodynamics and power. To select the right shaft for your speargun please note the table below. Please not confuse the barrel length of the speargun and the total length! In most cases you can take the length from the name of the model: for example, Imersion Concept Pro 75 - means that the barrel of the speargun is 75 cm.